Hey, y'all! Adrian here. As you'll soon discover, my guests and I went on a strange journey in this episode. George "norg" Nowik, Sean "Ailsean" Stone and Chuck "finbeard" Simpson are three-fifths of LONELYROLLINGSTARS, a video game tribute band that was formed by members of other "VGM" acts The Smash Bros., Viking Guitar Live and Armcannon. The band stopped by to promote their recently released sophomore album Sugarburger, which features arrangements of songs from games like Splatoon and Shovel Knight and Persona 4. In a conversation filled with many hilarious asides and tangents, the band discusses a plethora of topics: Their unconventional approach to songwriting, performing livewith Transformers: The Movie composer Vince DiCOla, the evolution of written language and the controversial nature of avocados. Like I said: we go on a wild journey in this episode. Strap yourselves in and just enjoy the ride. 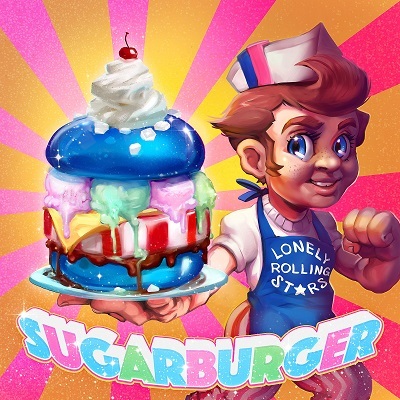 Sugarburger is available exclusively on the band's Bandcamp page. This and every episode can be found on iTunes, Google Play, TuneIn Radio and the Stitcher app, available for Android and iOS. Please subscribe and leave a rating and review. Doing so helps the podcast reach more potential listeners. As always, thank you for your support!